Botox relaxes the facial muscles giving a smooth, fresher look. It is perfect for those patients who have signs of facial ageing such as forehead furrows and crow’s feet. These lines can be minimised to a signiﬁcant extent, and in some cases completely erased. For many people, Botox™ represents their ﬁrst experience in non-surgical aesthetics. It is quick and eﬀective, with excellent results and virtually no downtime. Botox™ injections are currently the most popular cosmetic procedure with over 1.6 million Botox™ injections being performed last year. When correctly applied by an expert hand, Botox™ should look natural and give results to make you look fresh and uplifted. The treatment is administered via a tiny ﬁne needle and even patients with the worst of needle phobias have been surprised at how easy and how minimal the discomfort actually is. There are a number of different Botulinum Toxins that are used, but the original brand Botox™ is the most popular. Other Botulinum Toxins commonly used include Bocouture and Azzalure. Each have their own unique pros and cons, but all accomplish almost identical results. Different clinicians may choose to use different Botulinum Toxins based on their experience over time about how each works, and what may suit the patient best. The science has come a long way since the first Botox™ was launched, so Bocouture and Azzalure are both extremely popular choices in todays clinics. All patients receive a thorough face-to-face consultation, as individuals require diﬀering amounts of Botox™ in the diﬀerent facial muscles to achieve the look that they want. All patients are followed up by a two-week post-treatment review to ensure that results are expected and any necessary tweaks will be discussed and administered if needed and agreed on. Botox should only be prescribed by a qualiﬁed Independent Nurse Prescriber or a Doctor. 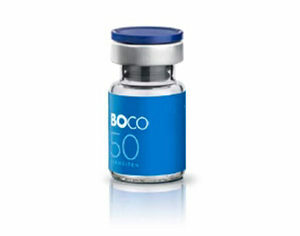 Giving the actual Botox™ injections is relatively quick, and skilled practitioners will take only 5 minutes or so. However, before you have the treatment there will be a discussion around what you are hoping to achieve, a (relevant) medical history, and a proper examination of the facial muscles and tissues so the correct doses can be given. You will have ‘before’ photographs taken. Following treatment you will be booked in 2 weeks post treatment for a review. At this point ‘after’ photographs will be taken and any additional Botox™ needed will be administered, if it is needed. Often the treatments are exact and most good practitioners know exactly how much to inject. Sometimes however a little more may be needed at follow up. How long until the treatment takes effect? Botox™ can take between 1-14 days to take eﬀect, which is why we don’t review your treatment until 2 weeks post treatment. You may start to notice effects in some areas as soon as day 3, especially in the ‘crows feet’ area at the side of the eyes. Botox™ typically lasts between 3-4 months, and sometimes more. Occasionally people with strong muscles in the forehead may need a sooner treatment, but over time less and less. Botox™ can be used under the arms to help excess sweating (hyperhidrosis) and sweaty palms. It can in some cases prevent this condition from recurring for between 9-12 months. During your consultation we will go through all of the possible common and rare side eﬀects of having Botulinum toxin injections. The most common of which is bruising (although even this complication is reasonably rare), hence we do not advise anyone contemplating treatment to go ahead less than 4 weeks before a big event, such as a wedding or anniversary. The treatment is now over 22 years old and has a very well established safety record. Anyone injecting Botox or other Botulinum Toxins should be a qualified medical professional, and not a beauty therapist, or any other non-medical person.